If you could see through skin, you would see that your feet are made up of bones, muscles and veins. It's delicate in there, and the skin covering it all is not exceptionally strong. So we think you should put layers of protection between your feet and the world o ... (see full details) (see specifications) #DNN50132. If you could see through skin, you would see that your feet are made up of bones, muscles and veins. It's delicate in there, and the skin covering it all is not exceptionally strong. So we think you should put layers of protection between your feet and the world outside - layers that are much more durable than skin. That's why we think you should wear Danner Men's 50132 Sage Green 8 Inch Tachyon Military Work Boots. Designed with military style, this 8-inch footwear is crafted from completely synthetic uppers. The lightweight material is non-bulky and dries efficiently. Use the speed lacing system to get a comfortable, completely customizable fit. The tall design of these men's boots is crafted to be flexible, comfortable, and durable against wear and tear. It’s also light and comfortable around feet, and that allows you to move quickly and stay sharp. Your steps will be softened by the three-layer comfort system when you wear these Tachyon boots. It's manufactured with open cell polyurethane, material that's lighter in weight yet even more shock-absorbent than rubber. The design of these uniform boots allows airflow to get to your feet to keep skin cooler and less sweaty. Now, that's what we call comfort. EVA foam in the midsole layers add additional lightweight softness to the design. The airy foam absorbs shock to prevent foot pain. Meanwhile, the rubber outsoles of these sage green boots absorb shock. Every time you step, you're impacting your feet. The rubber helps you rebound from every footfall so every step stays energized. In addition the outsoles are constructed with pentagonal lugs that give your steps gripping traction everywhere you go while wearing this premium footwear. Rugged terrain, smooth terrain, dangerous ground - you can still step safely when you wear these slip-resistant boots. Rubber is naturally durable and resistant to abrasions. To complete the tough design, abrasion-resistant toe caps guard against scuffs. The sage green style stays true and your look stays stylish. When they're all alone, your feet are vulnerable. All they've got to protect them is skin. 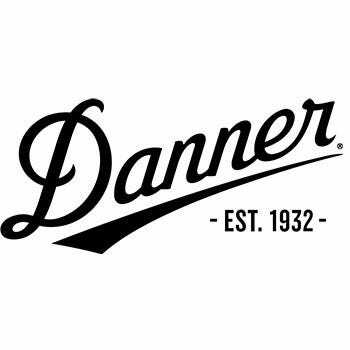 Danner Men's 50132 Sage Green 8 Inch Tachyon Military Abrasion-Resistant Boots will surround your steps in safety and comfort no matter where you go. So go ahead order your pair online from the Working Person's Store today. Danner Boots: Men's 50132 Sage Green Tachyon 8 Inch Military Boots is being added to your cart.